Designer Fabio Novembre has created inspiring architectural works for many world famous brands, not least Bisazza. 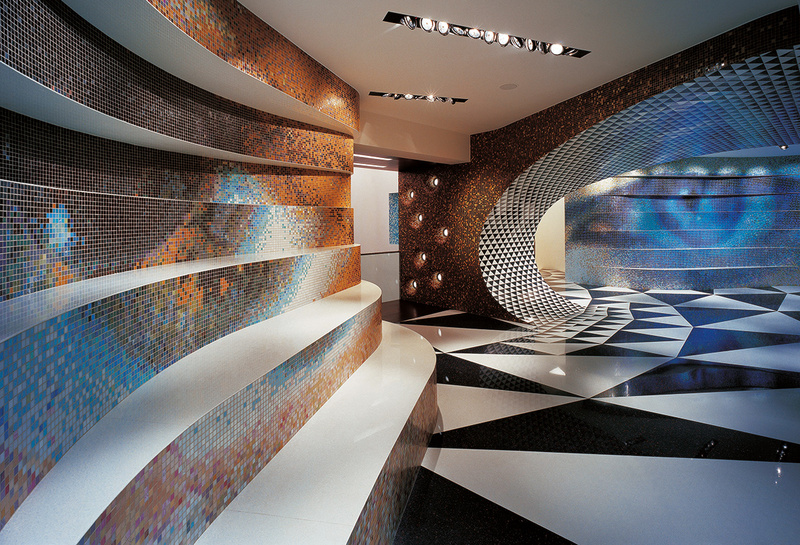 An example of his style is this retail design, which perfectly demonstrates his view of mosaic as a tactile and sensual skin for interior surfaces. Sculpted, mosaic-clad feature walls twist and contort through the space, contrasted on the floor with a bold, two dimensional pattern. The flowing energy in the room is perpetuated by the pulsating bands of light and dark colour, creating a completely immersive environment. Novembre’s design truly unlocks the potential of mosaic as a medium for breathtaking interiors.